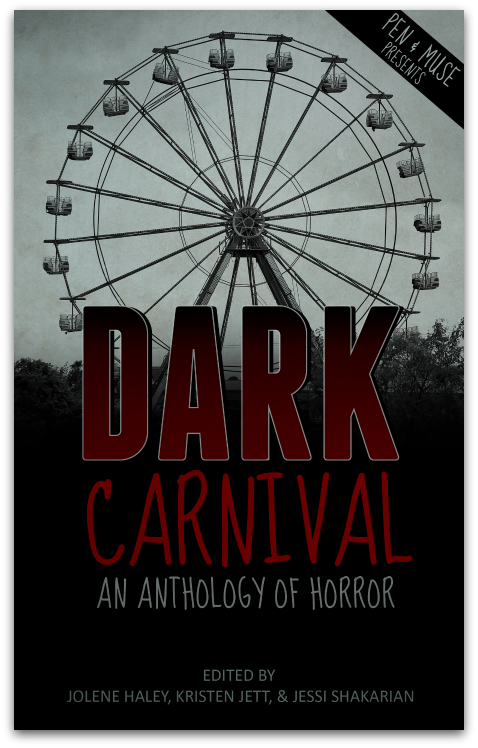 The long awaited DARK CARNIVAL: An Anthology of Horror is now available to purchase from Amazon. Authors from around the world have taken part in this compilation, including myself, and we owe our thanks to Pen and Muse for pulling this bad boy together. You are simply awesome in everything you do and I’m utterly thrilled you had me along for the ride. [We] hope you enjoy this instalment and keep posted for more stories coming your way. Remember to leave a comment either here, and/or on Amazon. We’re always thrilled to hear from our readers. This entry was posted in Home and tagged Anthology, Dark Carnival, Horror, Mermaid, Pen and Muse, Ruth Shedwick. Bookmark the permalink.